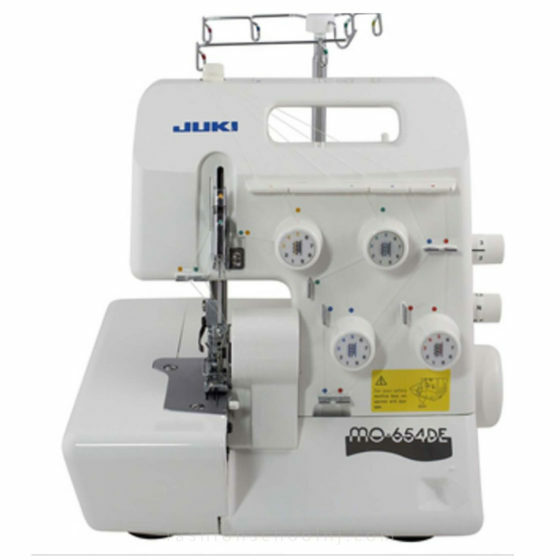 The Juki MO-654DE serger is a 2-needle, 2/3/4-thread overlock machine with differential feed and micro safety switch. 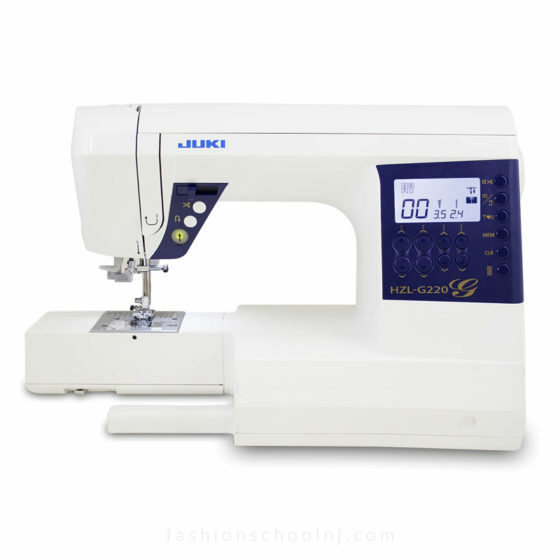 The Juki Pearl Line Home Sergers offer several exciting models to expand your sewing capabilities. 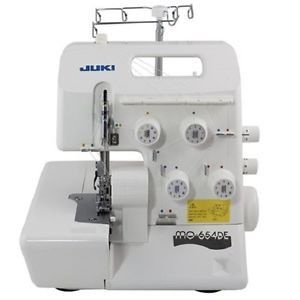 Create the latest fashions or decorative home items and crafts with the Juki MO-654DE four-thread overlock. 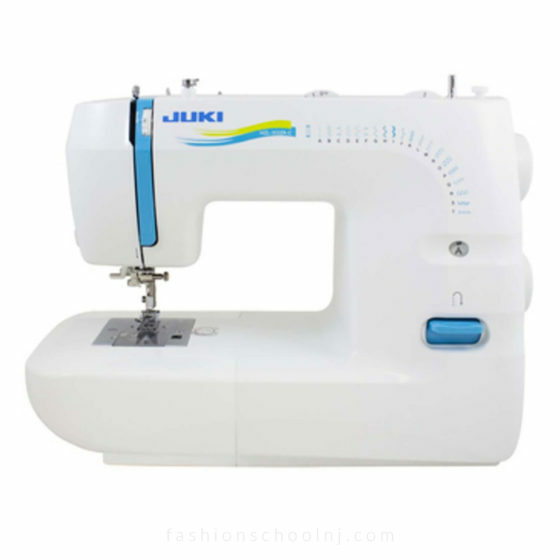 These units offer differential feed and built-in rolled hemming and perform all the popular overlock and flatlock variations. The Pearl line sergers are ideal for use with today’s latest fabrics as well as decorative threads. 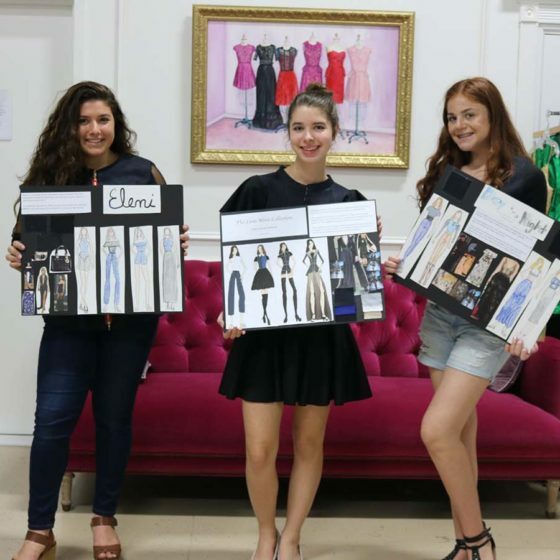 Add serging techniques to your world of sewing and open new doors to design opportunities! Juki Sergers have a 2 year electronic warranty on motors , light assembly, wiring, switches, circuit boards and speed control. A 5 year mechanical warranty is for “all other parts” however this excludes “consumable parts” such as loopers, feed dogs, knife blades, bulbs, lamps, presser feet, needles and belts. Juki sergers also comes with 90 days labor period on adjustments good through the Juki dealer the machine is originally purchased from. This warranty is valid only on products used for household purposes. Using this product in a commercial environment voids warranty. *Please CALL (917) 696 2814 for more information.